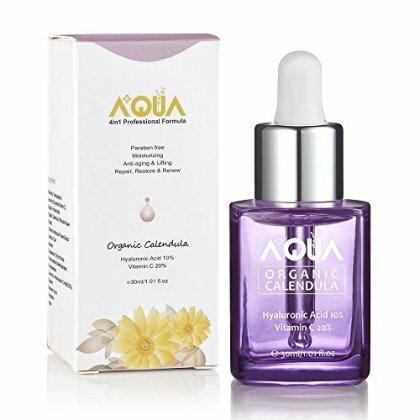 AQUA Premium Enhanced Organic Calendula Extract Moisturizer Serum is the most effective serum. You can see the result within 4 -8 weeks. It is a 4 IN 1 serum that helps with Anti-aging, moisturizing, whitening, and healing. You will not be disappointed with AQUA serum, it has been tested and researched for many years and we are so excited that it is finally hit the market. Please note: only the products purchased from an authorized Pivot Edge seller will be admitted for warranty. Receipt is required if you need a refund or other post-purchase services. In addition to losing warranty, you may also become the victim of second-hand or flawed products if you buy at unauthorized stores.